The whale, in many cultures, is seen as a symbol of good luck, speed, strength, freedom and joy within. 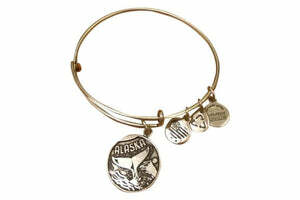 This Alex and Ani Alaskan whale tail bangle is exclusive to Alaska and can only be purchased in Alaska. 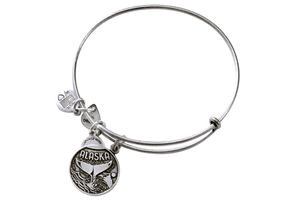 Get your Alex and Ani whale tail bangle to represent your Alaskan vacation and your fond memories of the great North. Rafaelian finish in silver or gold. Offered by Skagway Jewelry Co. in Skagway, Alaska.